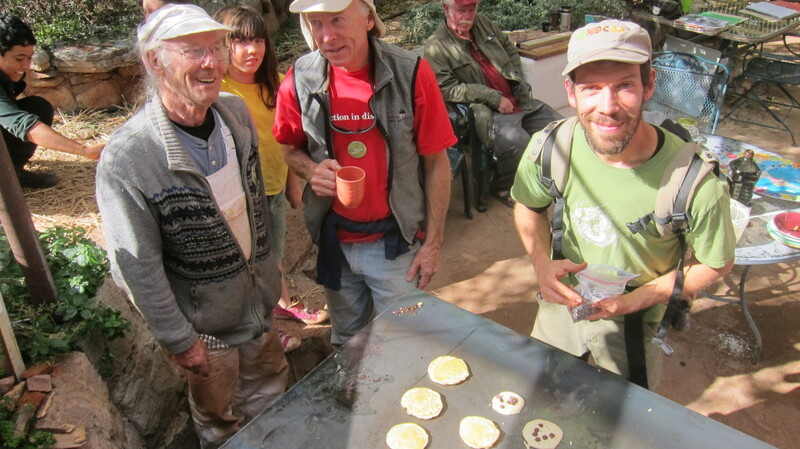 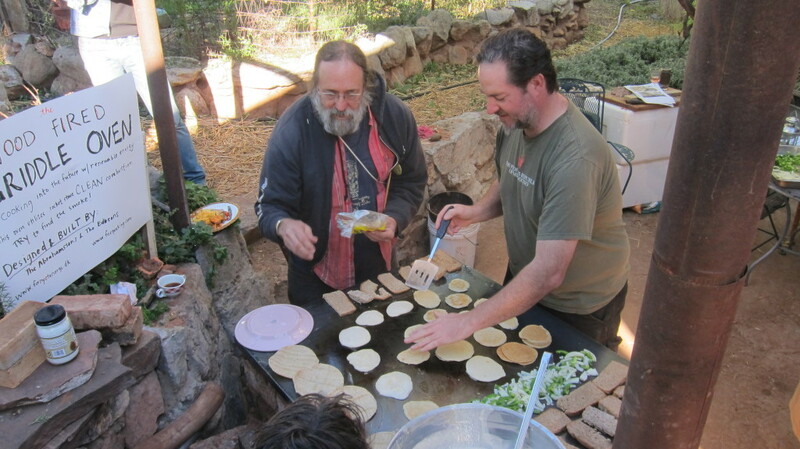 The new Rocket-Fired Griddle Oven was built during the Natural Building Colloquium at the Black Range Lodge in Kingston, NM. 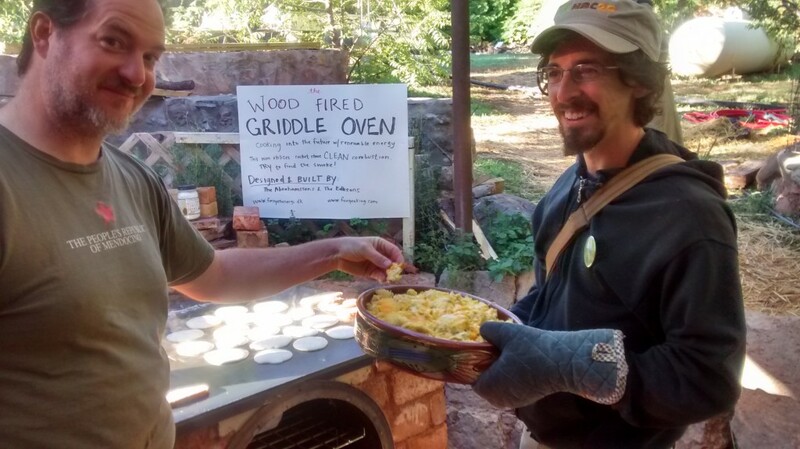 The Griddle Oven was designed by Flemming Abrahamson of Fornyet Energi and built in a workshop led by Flemming and Max Edleson of Firespeaking. 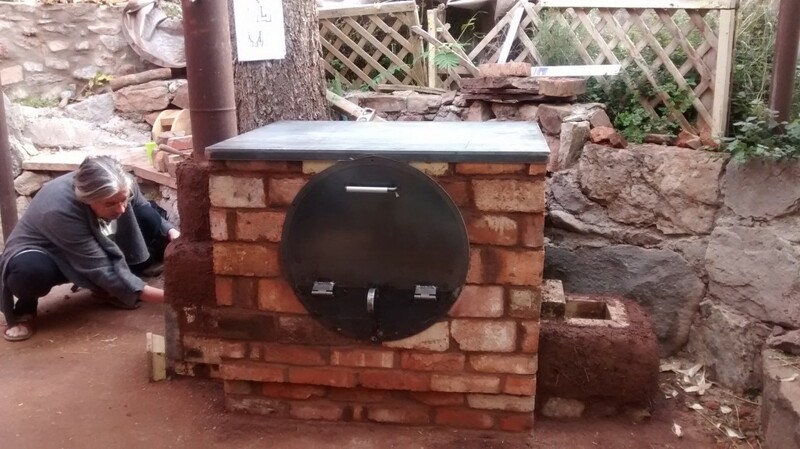 The Griddle Oven features a rocket-style combustion box which offers clean combustion as demonstrated by virtually no visible smoke exiting the chimney. 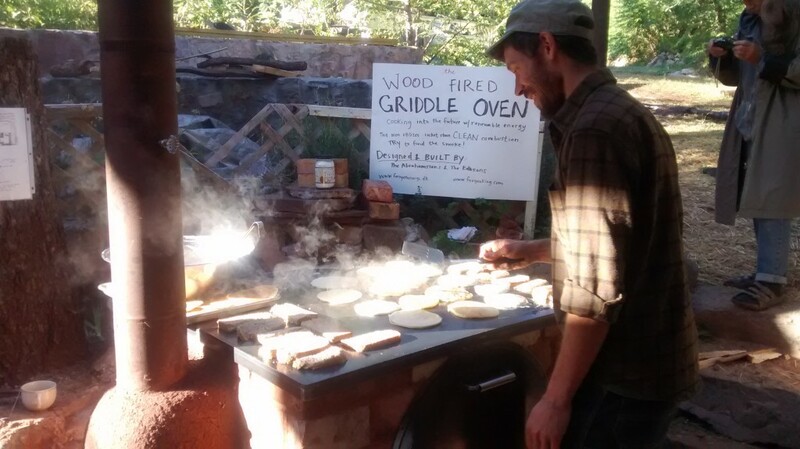 The heat generated travels beneath the griddle top as it also wraps completely around the barrel oven before exiting the chimney. 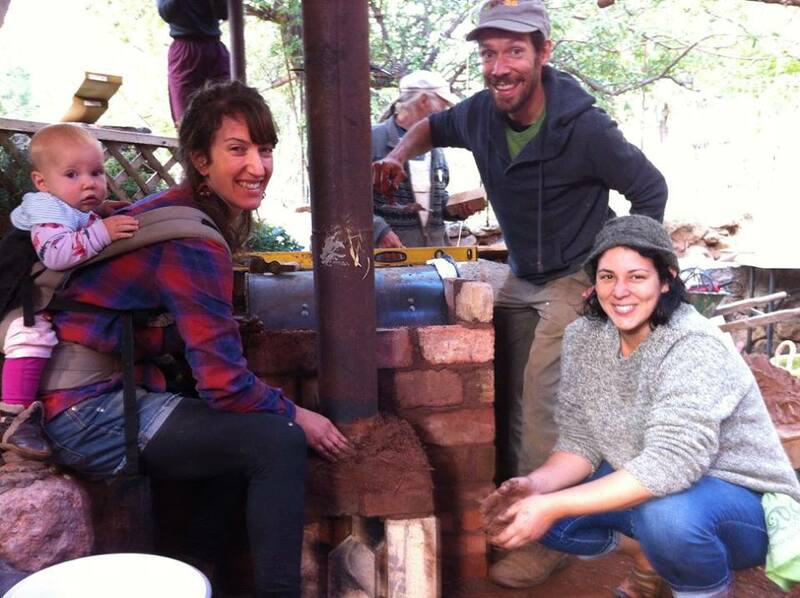 The result is a rocket stove with amazing versatility as it efficiently cooks just about any type of food you can imagine and can also be utilized to heat your home. 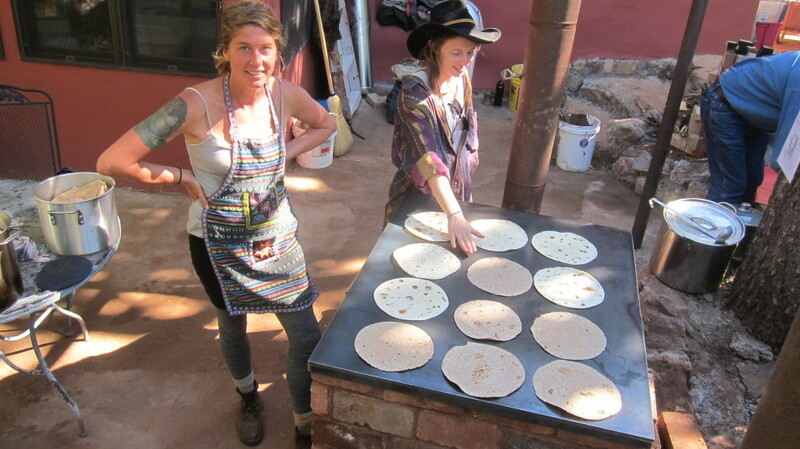 Pancakes, fajitas, eggs and more can be cooked on the top griddle surface while lasagnas, bread, stews and pies can bake in the barrel oven below. 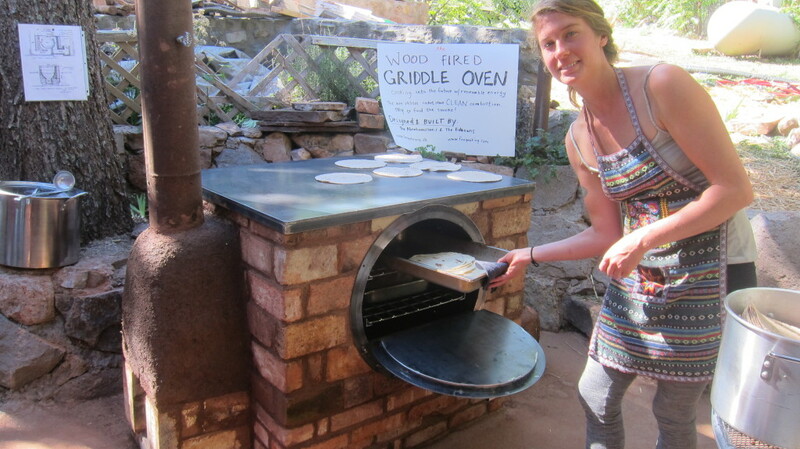 This Rocket-Fired Griddle Oven is an original design pioneered by Flemming, using hardware produced by Firespeaking. 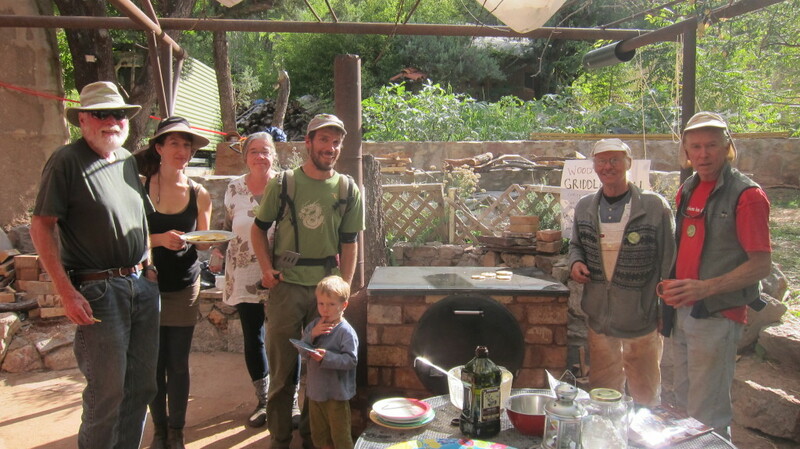 This Griddle Oven is optimized for community scale outdoor cooking. 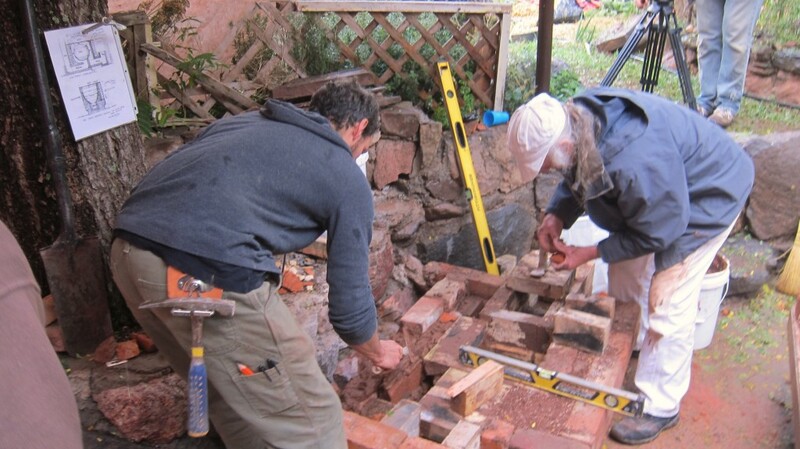 Make sure to join our mailing list to receive updates, including plans for a smaller, more compact version! 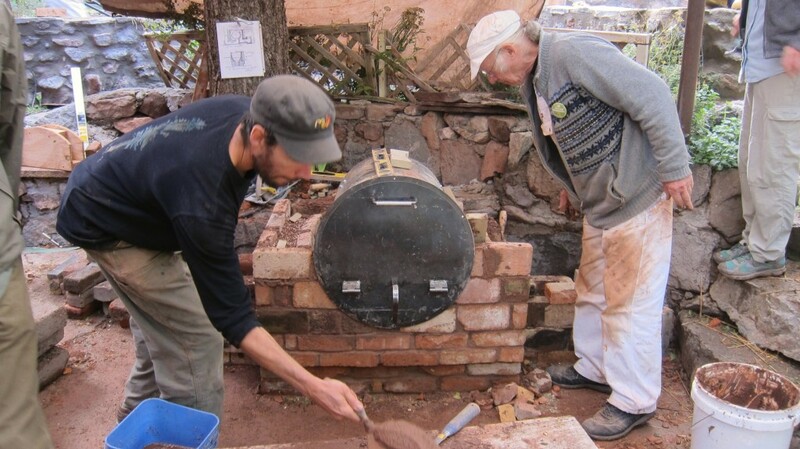 Plan set for The Cabin Stove, a similar wood fired heater and cook-top which you can build yourself!